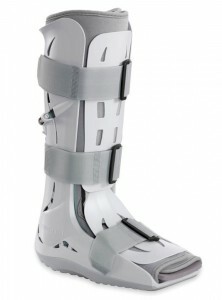 I recently had the pleasure of undergoing surgery on my torn Achilles tendon. The upside of the surgery is that I will be able to get back to all the things I love doing (hiking, kayaking, skiing). The downside, I’ve had to spend the past 4 weeks either in bed or chair with my foot elevated (toes higher than nose, as they say). It all started years ago when I underwent surgery to fix a completely torn meniscus in my knee. You’d think that would fix things, right? Well, I was one of the 40 million who had little to no health insurance and what I did have would not cover PT unless it was post surgery. That’s why I had the knee operated on in the first place, even through the doctor recommended PT first. Toward the end of that rehab, my tendon began to bother me but there was nothing I could do about it. So I followed the advice of the therapist and rested, iced and generally babied the foot. Fast forward 2 years and the pain had grown to the point that I could barely walk. Fortunately, my health insurance situation changed when the Part-time job I took came with benefits and allowed me to focus on getting my foot tended to. Two years after that, having tried everything the orthopedist recommend it came down to surgery. I tell you this tale as a way to say that we really need to do something about the health care situation in this country. I could have avoided two rather difficult surgeries had I been able to get PT or wellness care as part of the limited insurance I had. Now I’ve cost my fellow insurees this surgery and cost myself 6 weeks without work, limited pay, and reliance on my sister to take care of me. I cannot drive, walk or even take a shower without assistance until I’m given the all clear. I start PT this week and it will be at least 6 more weeks before I will be released to put full weight on my foot. It will be a total of 4 months before I get to have some of my life back and another couple of months before I’m 100% (that’s hopefully 100% as you never know how you’ll rehab). I’m self-employed and finding a contract that has allowed me to have benefits is amazingly fabulous. 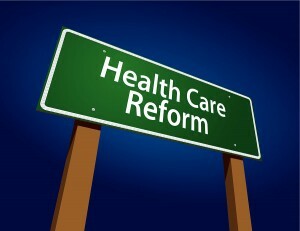 I wonder how other self-employed, solo businesswomen are dealing the the health care issues. Especially give our demographic. What do you do to insure you stay healthy and have the coverage you need? I’m bless with great friends & family. What do other single women do? Oh, your article really touched a nerve with me. I am also self-employed. Yes, I pay $600+ per month for insurance but the deductible is so high I never get to use it. And yes, when I had my last child – ok, years ago – I wanted my tubes tied. Seems most logical solution would be to just clip them after delivery. I was in the hospital already, right? NO! My insurance company made me check out, then check back in on a different day before they’d cover it. Insurance companies are real crooks. Lisa, I feel your angst. Now that I have a job that provides health coverage, not free but certainly not for $600/mo either, I’ve taken advantage of many procedures that I had to put off. We really need to do something about the strangle hold insurance companies have on our health care system.